A domain is simply an address to your website. It's a way to navigate the highway of cyberspace, one could say. It is a great advantage if your domain name is related to your business. It should be easy for people to remember your domain and easy for the search engines to find your website in a search. The availability of vacant domains can vary sharply. All common names are usually already registered so we do need to look at possible combinations of the name. For example, if your company is called " A Creation" and engaged in Creative work, the perfect domain name might be "creation.com". Usually the obvious names are already registered and then it might be appropriate to combine the words. In this case "acreation.com". There are many top domains to choose from like .com, .net, .biz, .org and so on. This opens up for more opportunities. 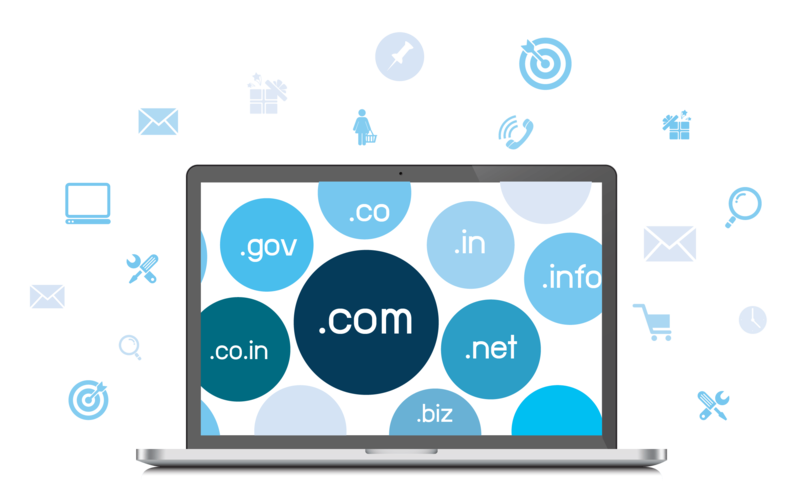 We provide registration of domain names and you choose if you want to manage your domain on your own or if we will do it for you. Some of the domains we register are .com, .net, .biz, .org, .info etc.